You Can Learn to Sing ! ​Brand New to Voice Lessons? Learning to sing can change your life forever. We know that anyone can learn to sing. All you need is the desire to learn and great teacher who understands and supports your needs and goals. 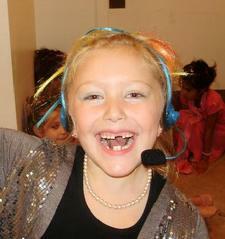 We have voice lessons for children, teenagers and adults. We teach all levels. Beginners are welcome! Don't even think about being nervous, just go for it. Voice lessons are fun. Students have many different options. Musical Theatre - Disney, Wicked & Broadway Favorites! Rock - From 1950 to the present, the choice is yours! 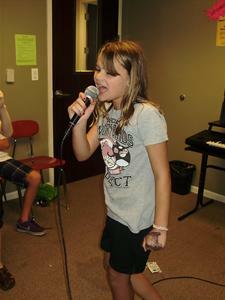 All voice students can record their best performances in Studio 1. It's a free added bonus for all Academy music students. Need a place to practice? All voice students are welcome to use The Academy of Music and Art piano rooms for practice time at no additional charge. ​The Academy of Music and Art also offers a unique combination of voice and piano in a private lesson format. Learn to sing songs while playing the piano! The combination works! Students are motivated and happy because they are playing their favorite songs. Parents are happy because their children like to practice. Students have the option of performing songs in our recitals. (The recitals are fun and low pressure. We encourage you try!) You can also record your best performance in our recording studio. Brand new to Voice Lessons? Click here to read "A Beginners Guide to Music Lessons." Call today to find a lessons time that fits your schedule!